Verztec offers a customized safety induction solution, ensuring that safety compliance, measures and education is in place at the workplace – especially for industrial settings. iSafe™ is a highly customizable network solution that allows employees to first go through a quick HSE training course, comprising of a learning course, video as well as quizzes before allowing entry to secured and hazardous premises. 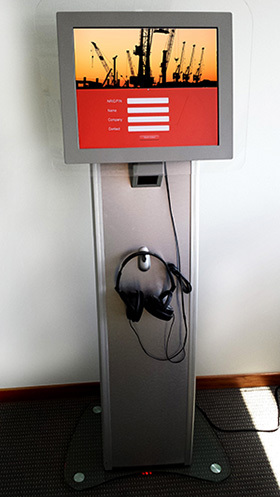 Our solution can be rolled out as a standalone kiosk or a network of kiosks at multiple entry locations, with a secured link to a backend server platform. The online learning course and workplace safety video may also be translated into over 100 languages which allows foreign employees to select the language of their choice and to allow better understanding of the points to take note. As iSafe™ has a backend reporting module, company administrators and/or safety officers may be able to generate reports on the details of employees who have taken the course. Contact us at learning@verztec.com for a consultation.